We've rated the drivers, now it's time for the teams to go under the microscope - our Formula E correspondent Sam Smith gives his authoritative verdict on who performed and who flopped in season three. 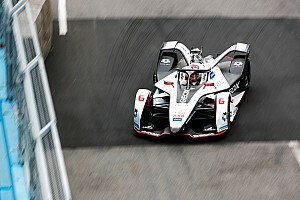 They say (Dieter Gass, Head of Audi Sport): “When we arrived in Montreal we really didn’t expect to be able to take the title by such a comfortable margin, to be honest. During the season, in its entirety, you could see and sense that the competition was higher than ever and we had to work super hard. 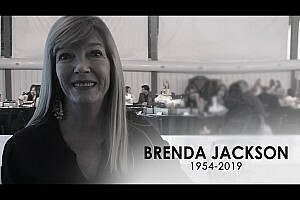 “Don’t expect too much changes on the personnel side [for season four] because how we are working now is proving to be successful. Abt is running the operation and there will be some more Audi personnel at the track, but mainly we work together with Schaeffler, our technology partner." We say: The irony for the Abt Schaeffler Audi Sport team in season three was that they finally enabled di Grassi to take the title despite having its least competitive car since season one. It was evident for the team from the get-go that they would have to extract the absolute maximum from their package, which was a fairly conservative update from their original single longitudinal motor from Schaeffler using three gears. In Franco Chioccetti, di Grassi’s race engineer, the team have the eyes and ears which enabled an audacious win in Mexico City to become a reality against all odds. This was despite being dead last on two separate occasions. It was at this venue that they truly exorcised their demons from 12 months previously. 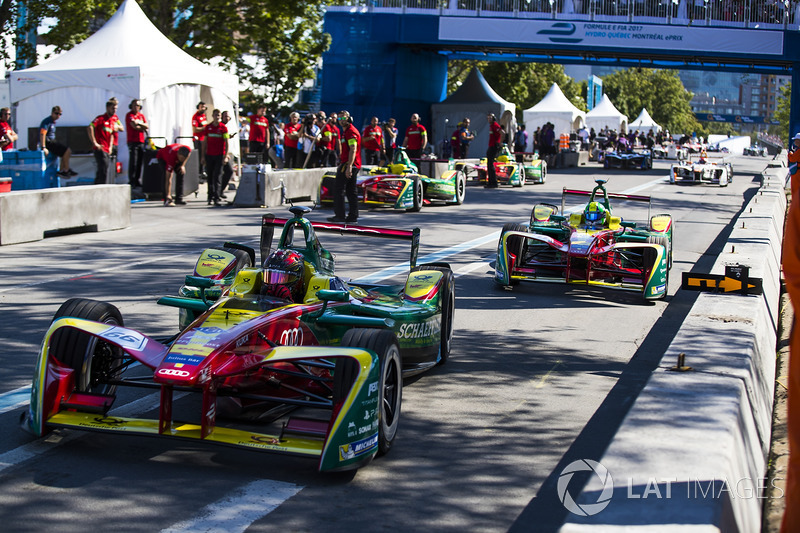 This was when a team error cost di Grassi not only the win but also the title. 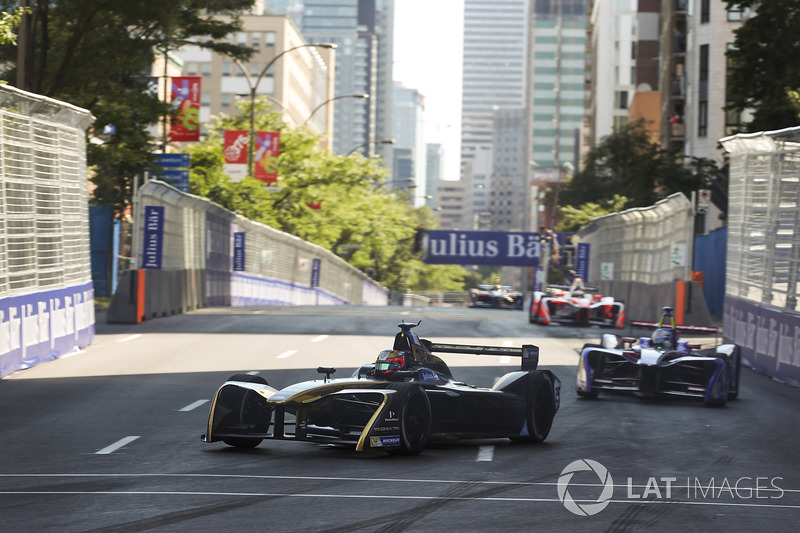 The wound took a while to heal but once this scratch was itched, di Grassi was able to make the most of Buemi’s misfortune at missing the New York races and seal the title with an authoritative display in race one at Montreal. The team extracted the very last drops of juice from their powertrain, and despite largely now being in a group comprising DS Virgin, Mahindra and Techeetah, they were able to take the title they should have won both in seasons one and two. With the integration of more Audi personnel coming on stream in season four, and the might of more Audi factory capabilities, the team will not be resting on any laurels and know that despite the success in season three they need to make bigger and better progress next term. They say (Roger Griffiths, team principal): “I think that we are all disappointed and frustrated with how this year’s championship has gone. It is not what any of us had hoped for. “It is a reflection on the way that everyone has improved, the quality of the pitlane has got much stronger with more and more investment from everybody is evident. “We have looked at our own speed trap measurements and we’ve done a lot of analysis of sector times and all of that. Both ourselves and BMW have concluded that we don’t think that we are too far out of the ballpark with the physical powertrain aspects, but there are many more things that go to making up performance in the car and we have to address those. We say: There is no hiding the fact that Andretti again massively underperformed in Formula E. After some herculean performances with Robin Frijns and their carried-over season one car last term, much more was expected this time. It started reasonably in Hong Kong with a fifth and sixth, largely against all odds when the team had to build up a new tub after Frijns’ qualifying shunt. Remarkably, this was as a good as it got. The team was running its first self-assembled powertrain this year after their original package the ATEC-01 was canned in August 2015. Quite often the drivers were simply in a different race to the majority of the rest of the field, and the frustrations among the drivers was plainly clear after just a few events. There were also key mistakes. The team should have had one car on the podium in Mexico City but for an error interpreting the minimum pit stop time. This kind of summed up its season, when even the scarcest of crumbs could not be savoured. It remains a bit of a mystery how a team like Andretti, who have a fine team assembled, consistently underperform. With BMW coming fully on-board in season five Andretti know they have to up their game if, as many paddock observers believe, a sleeping giant is to be awoken. 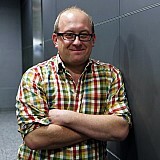 They say (Nigel Beresford): “There is no question it has been difficult. Errors have been made across the board and we realise this. “Away from the races we didn’t have the team structure we should have had in terms of getting people together consistently and getting overviews of the job done. “We have a diverse squad of employees, from myself and a few others in the UK, to the Faraday guys in the US and then Jacky [Eeckelaert], who is based in Monaco. That is not ideal, so we have to consider how we can try and improve this going forwards. “To a large extent the issues we had were all brought on by ourselves. We are honest enough to realise this and take action for next season. We have to evolve now and come back to try and reprise that form we had in the first two seasons. We say: How does a team which finished runner-up in season one, and then fought for victories and podiums in season two descend so quickly down the order? The answer to this question would probably fit a novel length feature in its sheer complexity. Essentially, some changes throughout the team badly affected the cohesiveness of their previous attributes – solid engineering decisions and clear management throughout the team. In season three, there were a series of small errors which cost the team a truckload of points. There was also a struggle to understand the quirks of the new Michelins, which were more efficient and durable but incredibly peaky in their reaction to fluctuating temperatures. In addition, there was discord in the team, particularly after Buenos Aires. This was when Loic Duval’s race engineer Fabrice Roussel left the team after a conflict over radio protocol during the race. This came at about the same time the team was close to doing a deal with Esteban Gutierrez for at least Mexico and possibly the rest of the season. The fall-out from this unsettling episode was also less than stellar for team harmony and probably contributed to Duval’s split with the team at seasons' end. This is not a poor team all of a sudden, quite the opposite in fact. Jay Penske has assembled some tremendously talented people but so many things just conspired against them this season. Was this related to the integration of Faraday Future in to the business? Who knows, but it certainly wasn’t a simple plug-in and play partnership and difficulties existed in many areas in general cohesiveness throughout the operation. There is much to be resolved for the team in the off-season, not least the tenuous status of the Faraday Future link. This surely has to be the starting point for any kind of renaissance. They say (Alex Tai, team principal): “We’ve had the capability from the very first race where we were on the second row of the grid in Hong Kong. “We had an issue there and in fact in two instances where we had our drivers touch each other and I’ve had to take them to one side and have a word. But, I am never not going to tell them to not race each other, but just to respect each other. “The DS guys have provided a fantastic technical platform and our engineers have been tireless in their work ethic on driving each little bit of performance out. We say: There was a similar level of success for DS Virgin Racing this season with two victories and several podiums, but this has to be countered with the question of whether the Anglo-French squad extracted the very maximum points haul over the duration of the season. The battle for third position between DS Virgin and Mahindra went down to the final race but it was one they ultimately lost and for sure this would have hurt a competitive animal like Alex Tai. There is no doubt that incidents between their two drivers at Hong Kong and Berlin wasted two opportunities for big points. DS continued to work interlinked with Virgin Racing vis their engineering lynchpin Sylvain Filippi and technically the team hit the ground running. Progress on maximising the new Michelin rubber and improvements on efficiency of the powertrain, largely via software research, saw them crowned kings of New York after an immaculate display. This was an impressive feat because DS Virgin Racing had embarked on a sea-change in its technical set-up from season two. This was thanks to moving away from the twin-motor philosophy to a single motor, greatly helping to reduce weight, as did placing the inverter in a carbon housing. 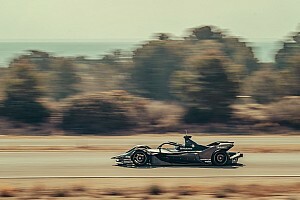 Much remains unknown about the team's season five plans after DS are believed to have now completed a deal to supply the Techeetah team as a full-blown manufacturer for the 2018/19 season. This opens up the likelihood of the Virgin Racing team scouting out the best customer powertrain deal available for season five in 2018/19, or opening up to another Formula E-bound OEM. They say (James Barclay, team principal): “This championship does not have a huge amount of testing so we knew our learning curve was steep. We have taken a lot of lessons away from this season. “We were really conscious of the fact that there were a lot of teams that had already had two years in the championship. We always said it would be a real challenge to come in this year and really compete from the off. “From Hong Kong you can see that we made the most progress up the grid in terms of how we have gone to the ultimate pace and by New York we were 0.6s away from pole. 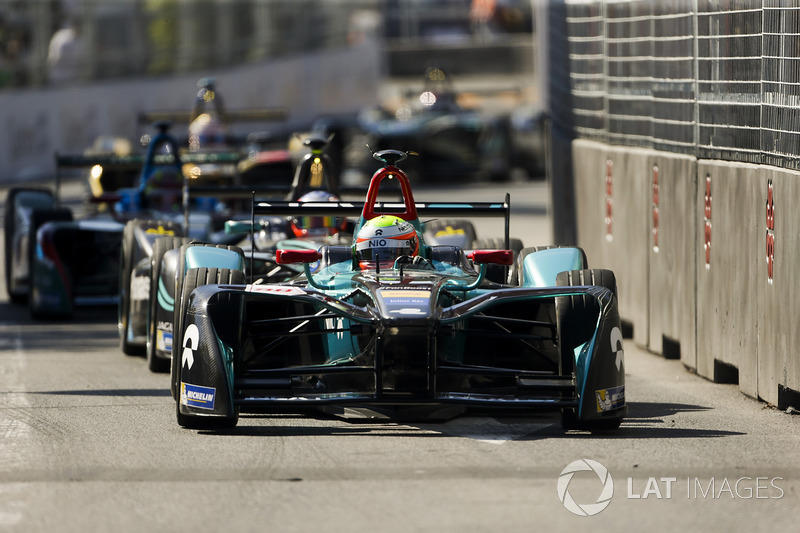 “For us Formula E is a long-term commitment for the business. You have a project, you have gateways and you have timings, and the key thing is around the new-generation car timings." We say: The ‘Big Cat’ returned to international racing in 2016, and after a worryingly uncompetitive start in the first three events, it licked its paws, re-grouped and became a genuine points-scoring force. It was an impressive development and tallied with the pre-season rhetoric that an initial learning year in this demanding category would have to be tolerated. With Williams Advanced Engineering, the suppliers of the spec batteries since day one of the championship, Jaguar genuinely increased its efficiencies with what was essentially a season one powertrain set-up. The inverter sat atop the battery and the technical architecture was conservative. It was always going to be a tough season for the team but on the whole, and with increased operational and technical experience, they came through it admirably. The big pressure will now start to manifest, as a very different season two technical set-up is set to debut at Hong Kong in December. This is when the slack they were cut on several fronts in the first season will not be nearly as forthcoming. 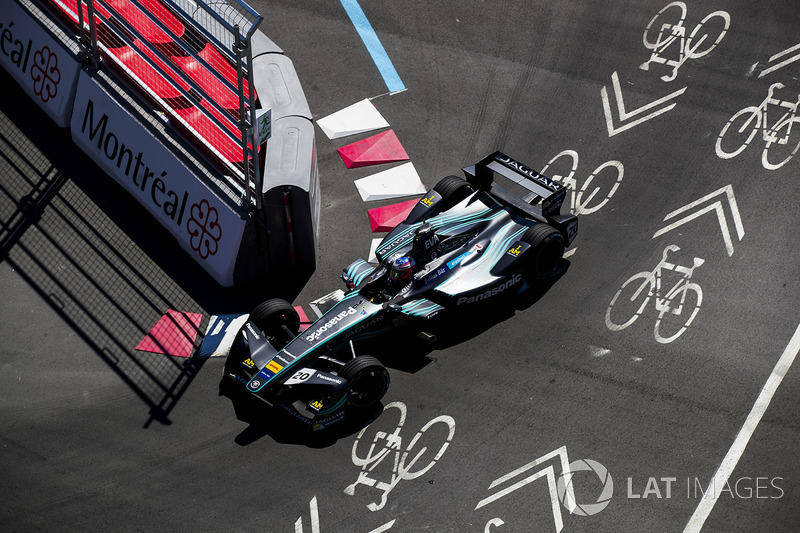 Off the track Jaguar were everywhere, with some clever marketing activations that swung a lamp over the realisation that Formula E is becoming a serious proposition with an increasingly global reach. They say (Vinit Patel, Head of Engineering): “The way the calendar worked this season meant that we had periods like after Marrakesh and Buenos Aires where we had time to address any issues. “We worked on a lot software and code as well vehicle dynamic stuff like suspension tests. All this is great and useful but until you get to track to validate it all there is an unknown to everything. Luckily we had two great assets in Nick and Felix to really help us. “So, the development curve has been steep and it gets steeper in this championship for all the teams and engineering crews because of the lack of track time. We say: Without doubt the most improved team of season three was Mahindra Racing. Flashes of competitiveness had been shown in season two, but few expected this promise to mature in to what became one of the most potent teams on the grid, in the latter half of the season at least. This was largely down to a masterstroke from team principal Dilbagh Gill in securing the services of Felix Rosenqvist, who beat Dean Stoneman to the drive alongside Nick Heidfeld last summer. An immediate dream team emerged. 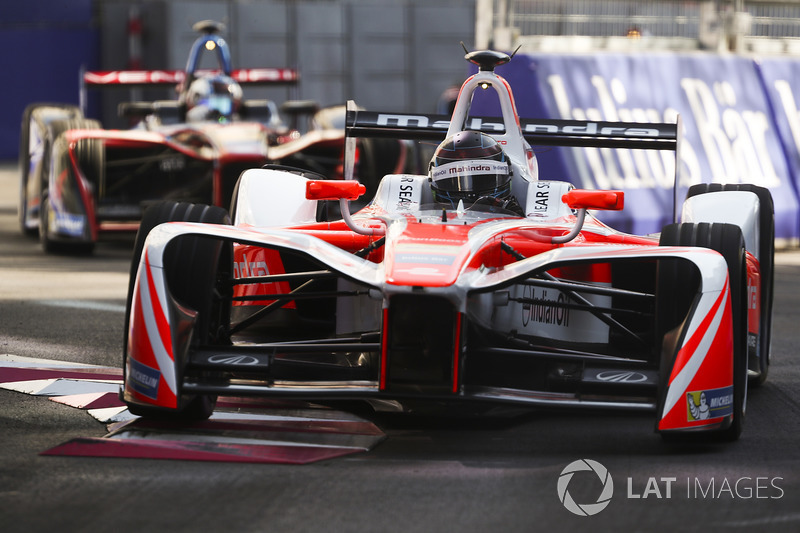 With Heidfeld’s eye for detail in vehicle dynamic development, working hand-in-glove with Rosenqvist’s inherent skill and speed, the balance of the team became pretty much as good as it got. Mahindra appeared to get a handle on the new lighter tyres quicker than most and nowhere was this more apparent than in Berlin, where Rosenqvist scored two on the road victories, but had his second taken away for a messy team pitstop. Mahindra’s success can be attributed in part also to its relationship with Magneti Marelli. The Italian company's motor was essentially a pair of three-phase units within one housing. It worked well and ensured good efficiency, but only after it was further developed via software post-Marrakesh, where Rosenqvist had struggled to hold Buemi off in the second portion of the race. Season three was definitely a breakthrough year for Mahindra. If they can keep hold of Rosenqvist and ward of the Ganassi IndyCar interest, for 2018 at least, then there is little doubt that the Swede, or indeed Heidfeld, could challenge for the season four title. Even off the track, Mahindra was efficient as it opened up a development and research office in Oxfordshire, which by the end of the season was active and liaising with the track team in real time. They say (Gerry Hughes, team principal): “We’ve had some highs and lows definitely this season. We haven’t maximised our potential during some races. Mexico is a classic example with some ‘finger trouble’ when we were leading the race with Oliver. “We know why we can’t race as competitively as we qualify. We have studied it and analysed it and it comes down to pure powertrain efficiency. In the race you are energy-limited, and you have to maximise that performance. “You can’t reduce parasitic losses, gearbox losses, rolling resistance losses from tyres, etc. You can’t get that back and whatever you do to the car you are making compromises in relation to the set-up of it for the drivers. We say: It wasn’t the complete wipe-out of season two for the Chinese electric vehicle start-up, but it wasn’t nearly as competitive as the team hoped it would be. NextEV scored 40 more points than they did in season two, but that highlights what a disaster that campaign was rather than any stellar step-change this season. Things started promisingly with a surprise front-row lock-out in Hong Kong, but this was only converted into four points for an eighth-place finish for Turvey. Apart from the odd point here and there, that was it. Monaco apart, where there was a fourth for Piquet Jr, that was as good as it got. 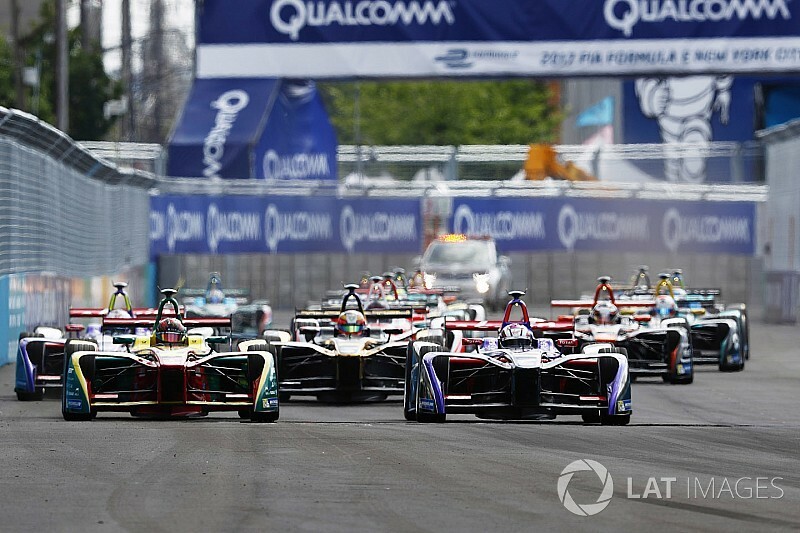 There was major disappointment at Mexico City when OTurvey led the first phase of the race before he suffered an electrical meltdown triggered by human error. Thereafter the story was a depressingly familiar one. Quite often quick in qualifying, but with wretched efficiency in the race, the undoing of any good work must have been demoralising. Sticking with the twin-motor concept, the team, now led by former Team Aguri engineer Gerry Hughes, shipped out the weight from its season two configuration and employed a pair of Omnigear-produced transversely-mounted motors with an inverter atop the battery. It was a major improvement on the season two set-up, but the main questions by the end of the season was if the run of lacklustre results had subdued NextEV’s interest in the programme and if it could hold on to an increasingly and understandably fed up Piquet Jr. They say (Vincent Gaillardot, Renault Sport technical manager): “We knew from last year that we were on the right route for getting the powertrain specification and development right. "We realised that some of the competition would copy what we had done, so everything would bunch up like we have sometimes in racing. “The rules, as they are written, give us some areas where we can work on, specifically the vehicle dynamics – wheels, suspension, dampers and so on. We had to work hard on these areas and we did. “When you get to 96 or 97 percent efficiency with your powertrain you have to make good progress in those areas I mentioned. “Another one that has been critical is software in the motors themselves. We have some freedoms here. The efficiency not only comes from the hardware design but also the controls of the motor, where you have three vectors which you control by software and the current you put on each phase. This is a big area we have worked on, but so have all the other teams. “All in all we are satisfied with the progress we made this season. There were mistakes, like in Berlin, but overall we won half of the races and the performance was something we can keep working on for next season and then the big year for everyone in season five." We say: The standout package over the course of the season once again, Renault arrived in season three with a cute evolution of the powertrain which wrapped up both titles in the 2015/16 season. This year though the car went gearless as the Zytek Automotive-provided motor drove the differential directly via a reduction gear. This opened up several areas for Vincent Gaillardot and his technical team to explore, but the upshot of the changes was a slimmed-down powertrain and a lower position for the gearbox. This was one of the reasons why the car was sublime on traction out of corners. Three straight victories at the start of the season for Buemi set up what looked like a clear retention of both titles. When the Swiss ace followed up his kick-off hat-trick by winning at Monaco and then Paris it seemed a formality. However, as we saw at Montreal, a series of errors set in motion a hideous series of disappointments. There were blips in the campaign even before Canada though. 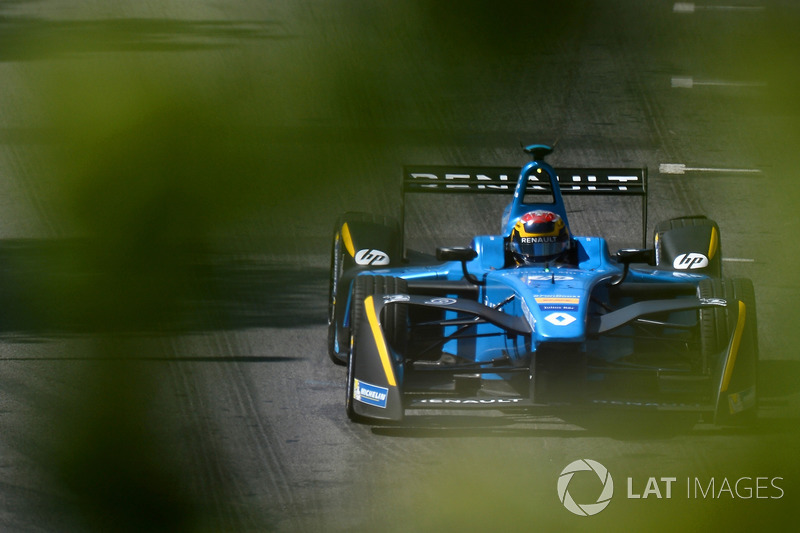 In Mexico, Buemi spun but was never really in contention for the win anyway, and in Berlin a disqualification for his tyre pressures being under the minimum reading meant that Buemi lost a hatful of points. Perhaps it was this last mishap which triggered unnecessary pressure and contributed to the fraught final weeks of the season. The circumstances in which the team pushed the limit of the regulations in Berlin are still opaque, but whatever the team tried here, it backfired on them spectacularly. 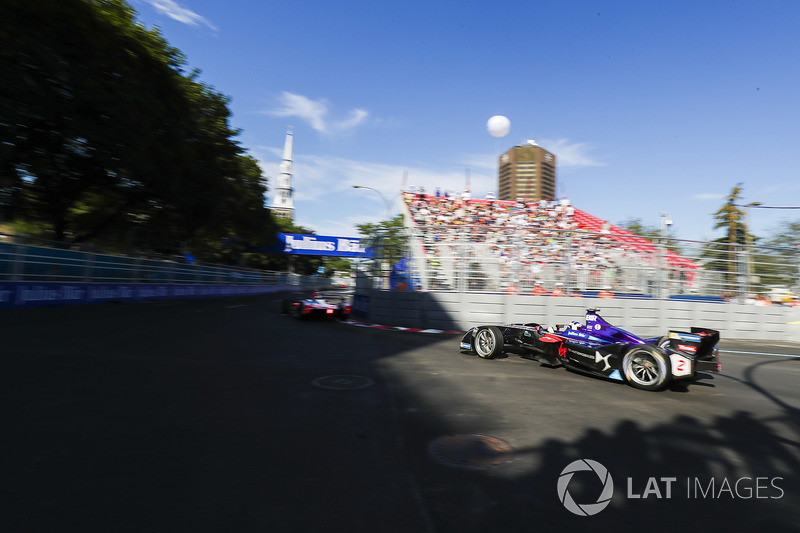 Those extra 10 points would have given Buemi a 20-point buffer going into the Montreal weekend and a more content driver may have turned up and the whole event may have turned out differently. 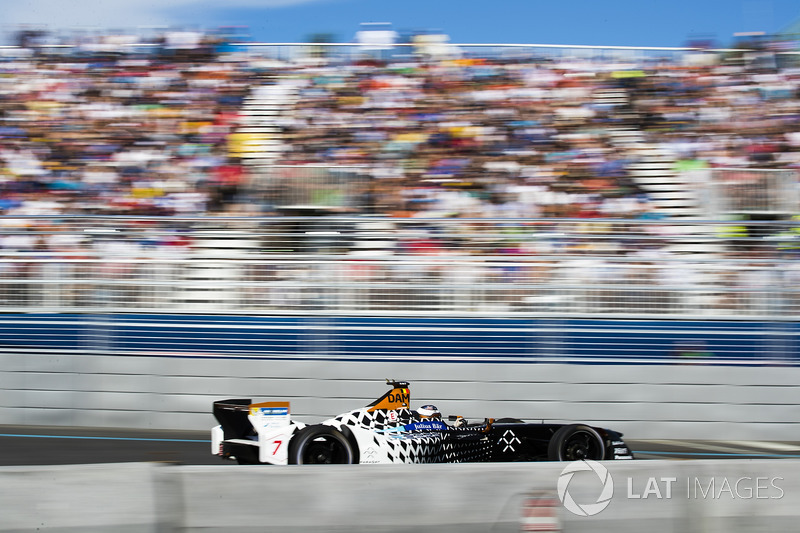 As it was, Renault at least took a hat-trick of teams' titles and again stamped its authority on Formula E as, over a complete season, the French marque was very much still the team to beat. They say (Mark Preston, team principal): “We are pleased considering it all came together quite late for the transition and setting up a new team. We were in Super Pole for every race except for Hong Kong and even then that was unfortunate as JEV [Vergne] got screwed by Frijns’ crash. “We’ve been fast and we have hit plenty of targets. Yes there were issues at the start both operationally and technically. They were frustrating rather than anything more deep-rooted really. “The stability we craved came to us at the start of 2017 after a couple of tough races. We still had some issues like the steering rack problem at Paris when a sub-supplier let us down. So we are getting processes and procedures in place and we will only get stronger. “Berlin showed us up because we had not tested. Remember, we can’t test as a customer of Renault, which is frustrating. The overheating rear tyres at Berlin and the abrasive surface caught us out and it showed. We say: If Jaguar’s turnaround was commendable then Techeetah’s progress in season three was truly Lazarus-like. 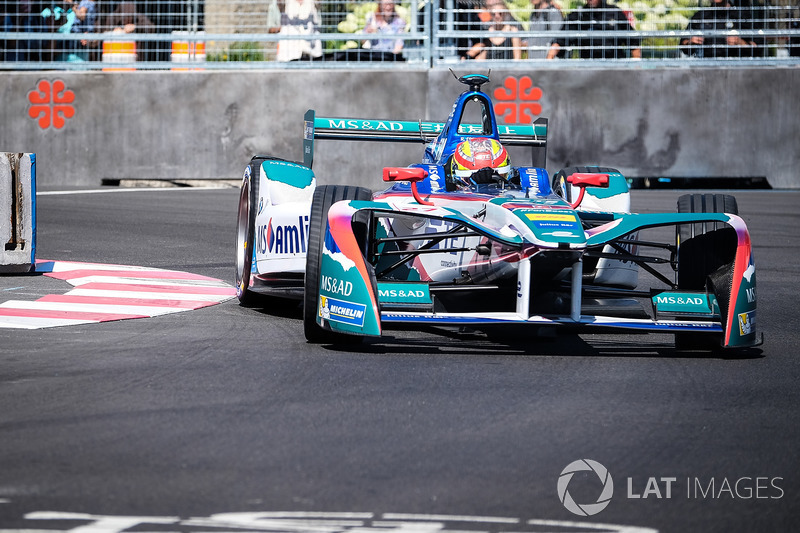 Born from the dying embers of Team Aguri last summer, the team, which owned by Chinese media giant SECA, arrived in Formula E totally ill-prepared and ill-equipped for the task in hand. Reality soon bit, with penalties and operational brain-fades that even extended to not watching the clock properly, meaning Jean-Eric Vergne failed take part in Super Pole in Marrakesh, were indicative of where the team was. These were dark times, but by the spring, and with investment in new equipment and some new staff – including experienced team manager Dave Stubbs – the team started to transform itself. Vergne’s first podium came at Buenos Aires and from then on a steadying ship was starting to become seaworthy. Of course, the fact the team had opted for the best powertrain in the championship didn’t hurt. Yet, as Preston attests, the team was unable to test pre-season due to the regulations stating that the allocated test days go to the manufacturer and not the customer. This was a constant thorn in the team's side and one of the key reasons why by the end of the season they agreed a deal with DS Performance for the 2018/19 season. 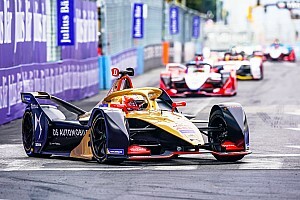 Techeetah was not frightened to make tough decisions, notably demoting Ma Qing Hua, who plainly struggled at this level. Then there was Esteban Gutierrez performing a fairly moribund few races before heading off to IndyCar, the Mexican leaving behind a wake of legal wrangling. The breakthrough win at the season finale in Montreal was a massive tonic for the team and should trigger more confidence for its final season with Renault power next term. They say (Franck Baldet, Head of Engineering): “On paper the project we had was very nice and we increased the efficiency in respect to last season but as we saw we had some reliability issues. “In the beginning of the season we were struggling during the with the gearbox. So we took the decision to make a change to the gearbox which we took penalties for in Mexico. This fix made us be able to use full power in the races and we increased the complete performance. “What was missing was luck really after this. Maro had contact [with rivals] and this compromised the races at the end of the season. We mainly did some fastest laps and we showed we have a good package and that Maro is a quick guy. 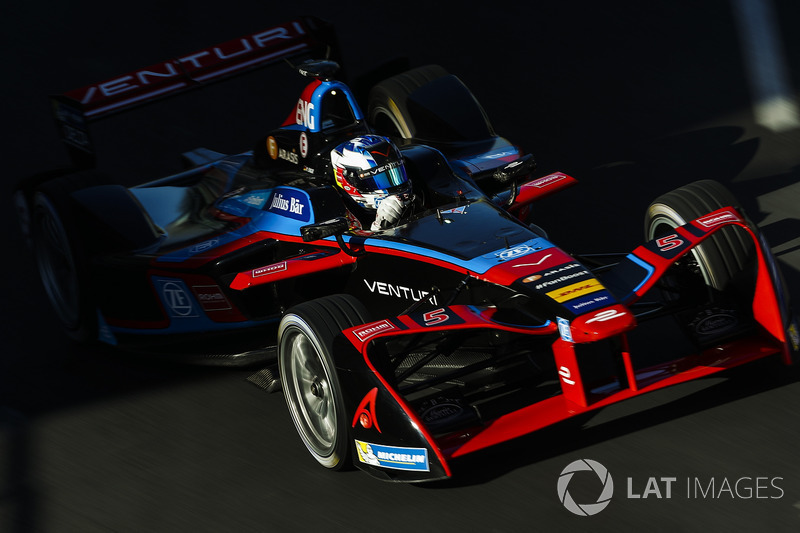 We say: If ever there was an enigma in Formula E, it is Venturi. Sometimes an awkward, directionless team without any apparent clear plan, the Monegasque concern can also be easily capable of delivering a podium-winning proposition and flashes of remarkable speed. A positive start to the season with the announcement of a major deal with the ZF technology group and a quality new signing in the shape of Maro Engel to add to the consistent Stephane Sarrazin, saw Venturi look like having a strong platform with which to work in season three. It never really happened. Things started with wretched reliability and a series of frustrations which netted little more than a ninth place for Engel at the season-opening race in Hong Kong. The team traced its issues to a gearbox malady which sent temperatures rocketing. It was able to claw back not only reliability but also some pace by season's end, but it was too little too late. Within the team, partners ZF and ROHM started to integrate some influence but it won’t be until season five when the fruits of these partnerships will begin to blossom. This year ZF mainly worked on the vehicle dynamic aspects while next season they will focus on the gearbox with a whole new design. Sarrazin, who had almost left the team on one previous occasion, finally did so just after the Monaco weekend. He was replaced by Tom Dillmann, who was able to show well with four points-scoring places from seven races. The crossroads for Venturi will come when HWA chooses whether to get involved with the team before entering its own entity with Mercedes in 2019. It is hard to see how Venturi can survive competitively beyond season six, when the big boy manufacturers come in and expand the Formula E playground to their own whims.